End of the summer – best time to look for some new outfits OR get advantage of fantastic beauty must-haves! Shop. Save. Smile. Repeat. Find your perfect deal today online or in-store. 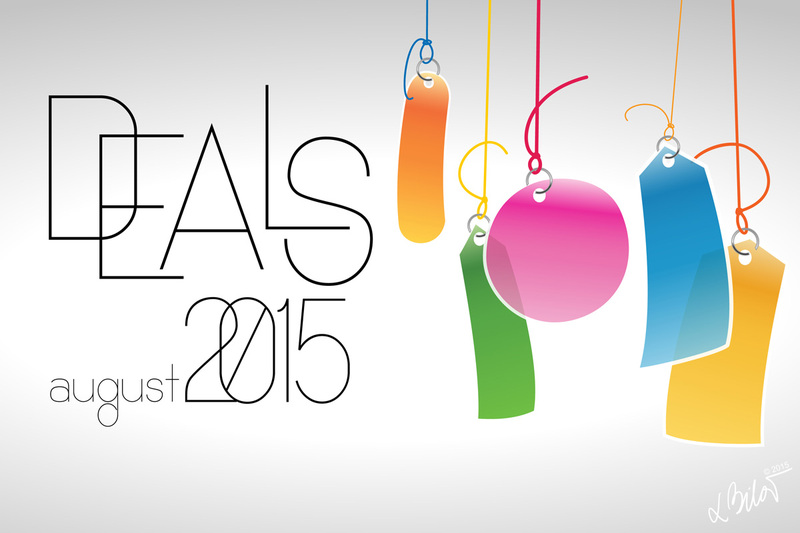 Few late August tips and deals only for you guys. Fatboy Slim & Riva Starr Ft. Beardyman – Eat. Sleep. Rave. Repeat. I took advantage of the great Bonus Time at Boots, got some fantastic beauty products for me and my loved ones & free amazing gifts. Free gift if you make a purchase of 2 or more Clinique products at Boots. One to be a skin care OR foundation and the second item can be anything. Available in Boots (UK & Ireland) while stock lasts. Great travel set for your late holidays. Turnaround Overnight Revitalizing Moisturizer – Delivers the energy infusion skin needs to optimise night-time renewal. Turnaround Daytime Revitalizing Moisturizer in Rosy Glow – Instantly delivers a fresh, luminous, wide-awake glow. Liquid Facial Soap Mild – For a clear start. All About Shadow Duo in Beach Plum – Perfectly-paired shades for an effortless eye look. Chubby Stick Baby Tint Moisturizing Lip Colour Balm in Flowering Freesia – A bit of colour, a hefty helping of moisture. For all Clinique fans, check out this little web page Clinique Bonus Time & stay up t date on all current promotions available around the WORLD! (my personal discovery of this year! :) ) Isn’t that absolutely amazing? Check it out! Free gift (2 types) if you make a purchase of 2 or more Lancome products at Boots. Another extra free item if you buy a 3rd product. Available in Boots (UK & Ireland) until 3rd September 2015. Great travel set & even better present. Visionnaire Day Cream – Multi-Correcting Cream. Advanced Génifique – Our #1 Best-Selling Serum. Hypnôse Mascara Black – Custom-Wear Volume Mascara. Lip Lover Gloss – Dewy Colour – Lip Perfector – 8hr Moisture. Blush Subtil – Ultra fine, this blush sweeps on for a natural looking and long-lasting glow. Visionnaire Eye Cream – Advanced Eye Contour Perfecting Corrector. Le Crayon Khôl Noir – Define or Redefine the Eye Contour. Bi-Facil Makeup Remover – Non-Oily Instant Eye Makeup Remover. L’Absolu Rouge Lipstick – Advanced Replenishing and Reshaping Lipcolour Pro-Xylane™ – SPF 12. Also get a little sample of La vie est belle fragrance. If you like it you can get a £5/€6.5 from your purchase of a regular sized fragrance. If you shop online enter code: LVBFSAVES50 (UK) / LVBFSAVE650 (Ireland), valid until 13th October 2015. Had an amazing experience at Boots with a pleasant assistance of a lovely Sam. Thank you for making my day! A good salesperson is what makes you come back more than deals and vouchers. Check out our new sale styles! WIN A STORM JEWELLERY SET – We want to know what your favourite piece of jewellery is. Simply upload your personal photo or a website snapshot of your desired favourite necklace, bracelet or ring and you could be in with a chance of winning a piece of STORM jewellery. Enter this contest. NEW styles in now – Use code – HOTRIGHTNOW shop at Boohoo.com with 10% off! Back to School (not only) for Teachers.